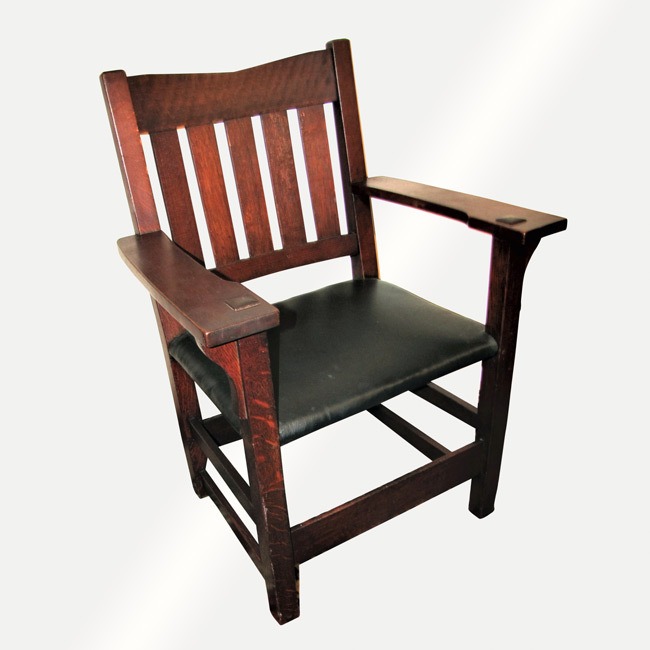 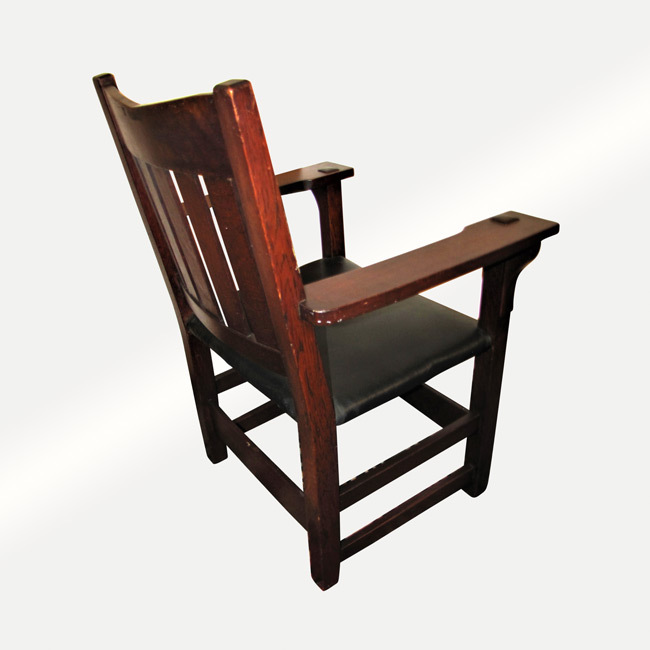 This is a Superb Gustav Stickley V Back Arm Chair from 1904. 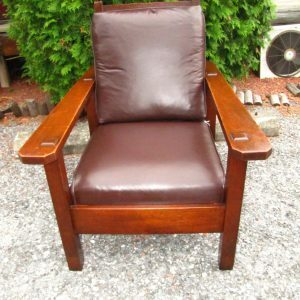 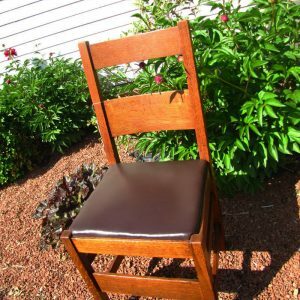 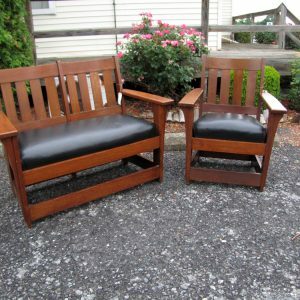 This is a great looking chair with a dark brownish/ reddish finish. 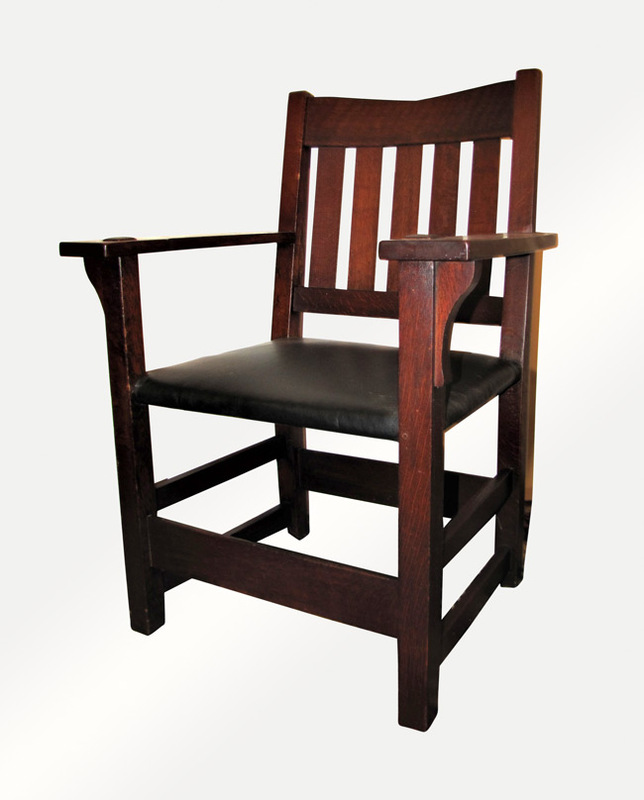 You can see from the construction and selection of oak that this is an early model. 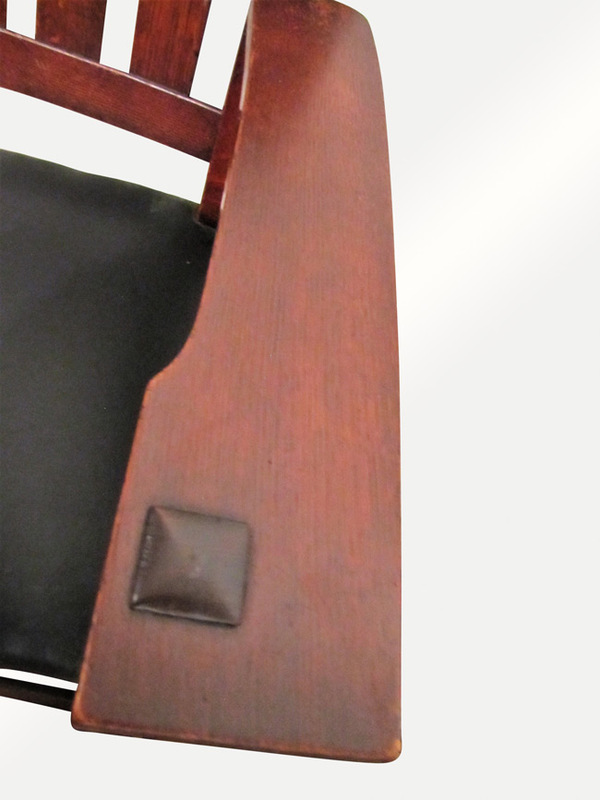 The front of the seat is different on the early models and it looks like the seat on this chair. 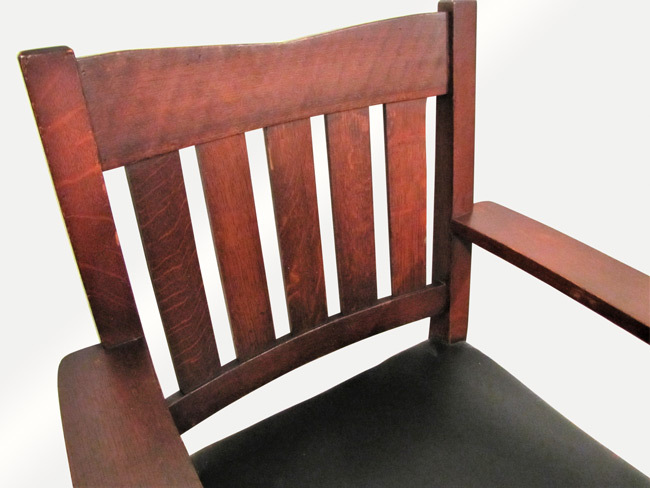 The chair has had color added to the original finish sometime in the past. 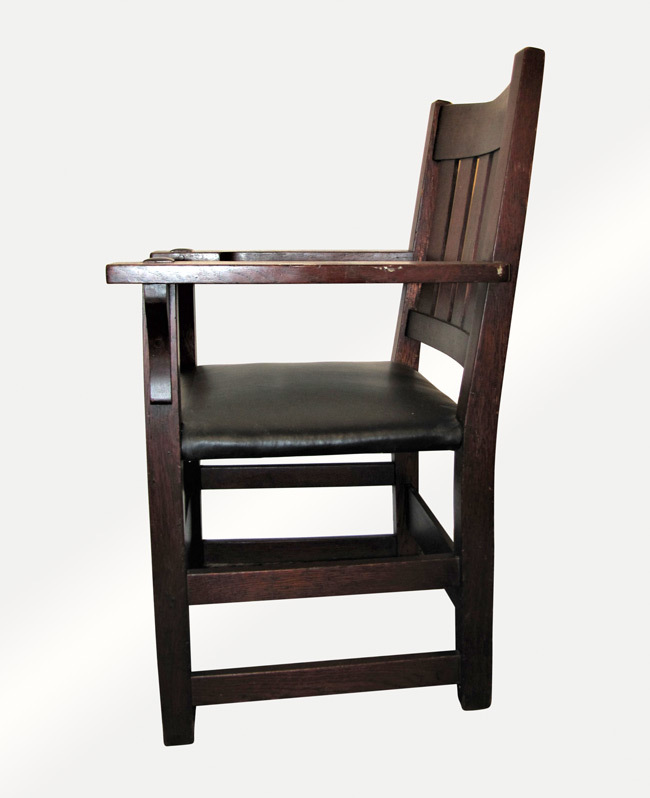 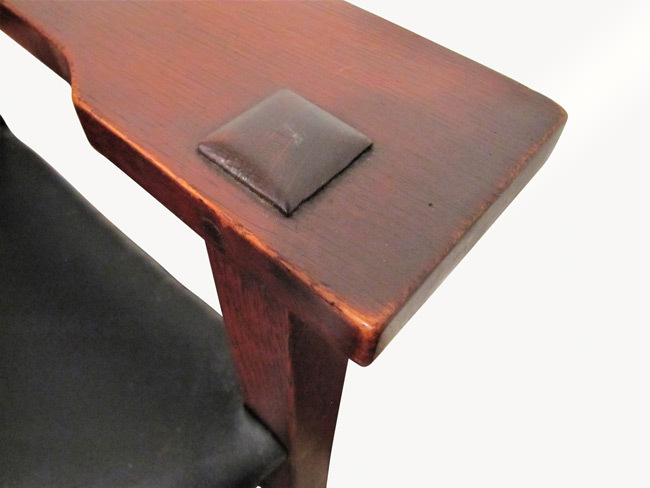 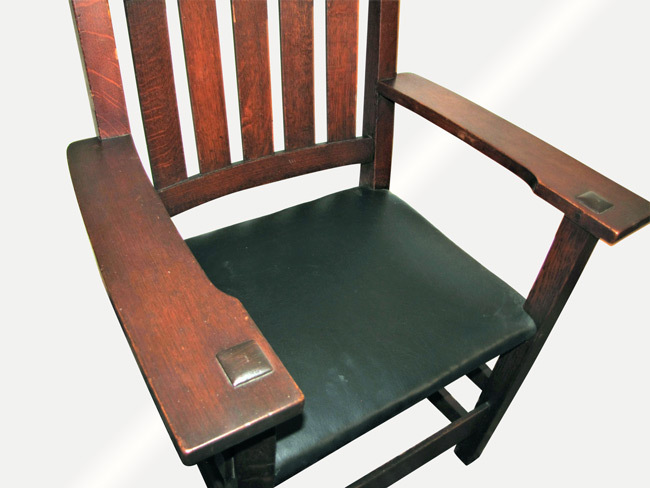 The chair is with great paddle arms and each arm has a through tenon and pinned construction. 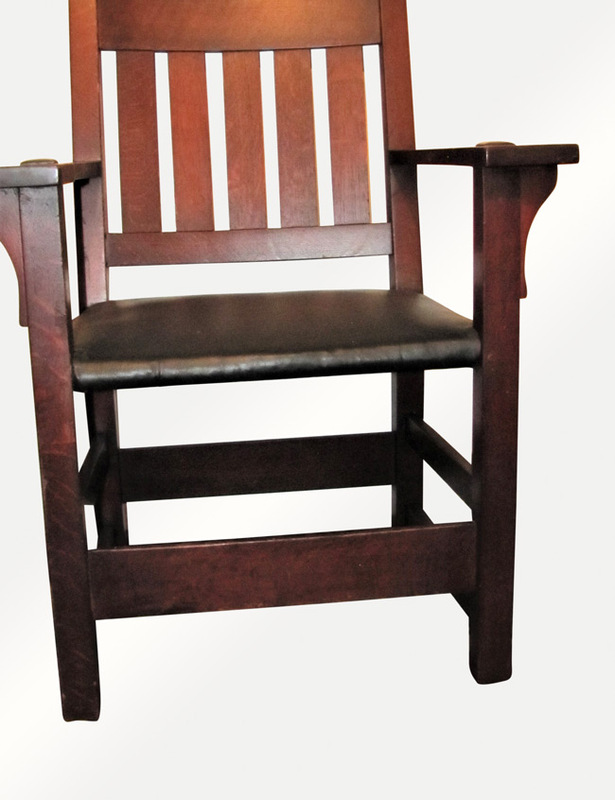 This chair is much bulkier than the later models and it truly is a great chair. 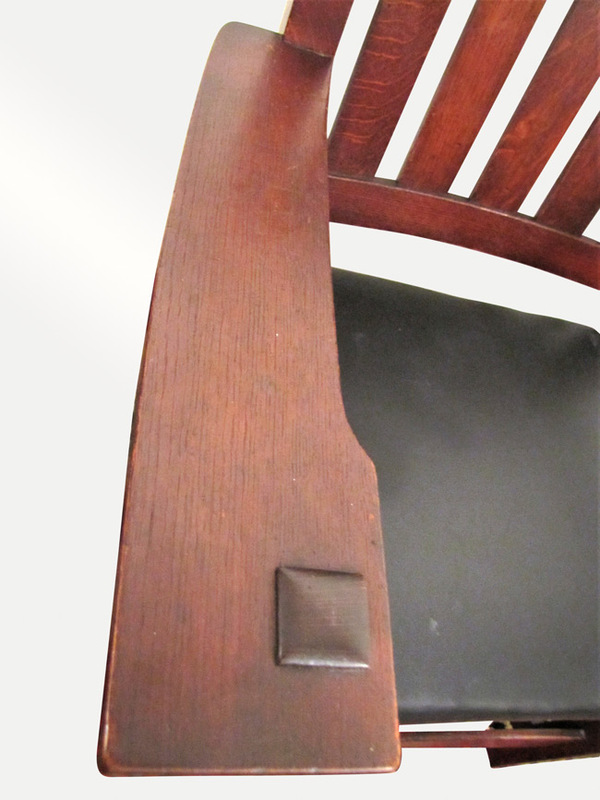 There are no repaired or replaced parts and this chair is sturdy and strong. 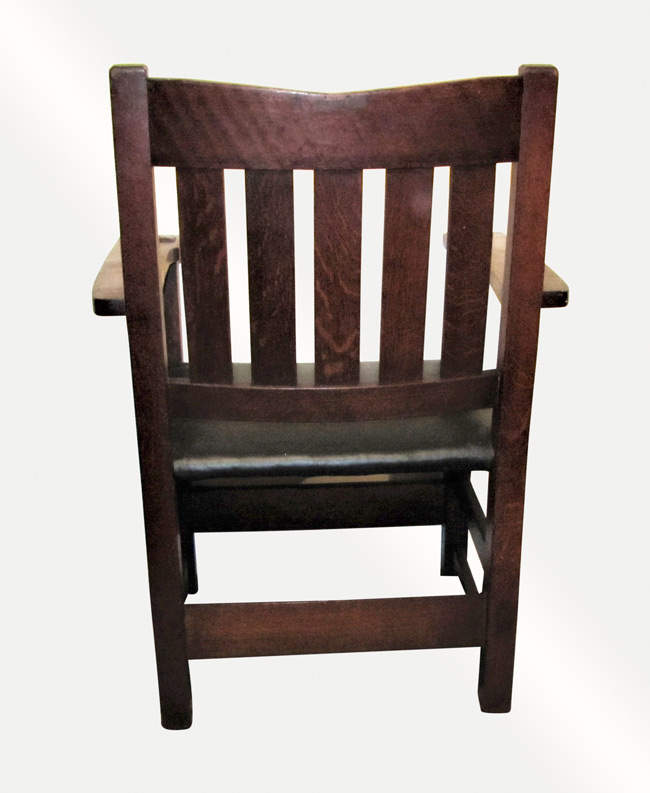 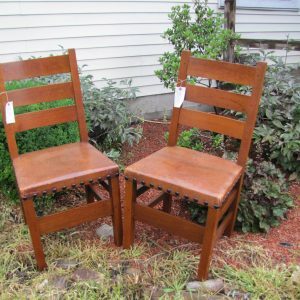 We do have several other V Back chair and also several other chairs and if you need multiple we can combine shipping to save you money.